Relax with citizens and farmers! 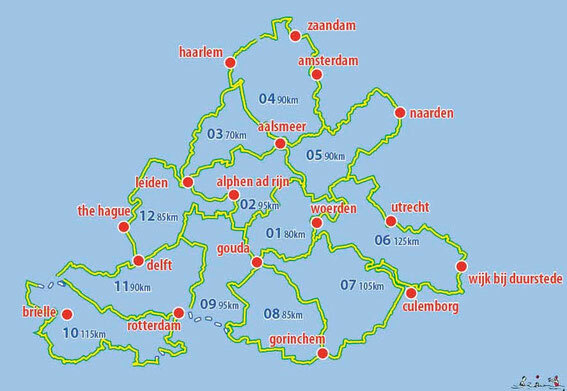 The bike-web on the map is composed on the pattern of historic canaltowns, tow-paths and farmerlanes. They offer the perfect feature for an active short holiday. Bike rental railway stations are indicated on the map. Both the cities and farmland offer Bed and Breakfast and plenty of regional fruit, cheese and bakery aside the road. And the culture in the cities add “food for thoughts”.